Direct Communications will be holding an information open house for residents of St Charles Idaho, on the lawn outside St Charles City Hall, Thursday, May 19, 2016, from 4 PM till 7 PM. This open house coincides with the start of the fiber upgrade construction project in St Charles Idaho. The company will outline the construction schedule and upgrade plan for Fiber to the Home in St Charles, and answer any questions about how fiber will improve the quality of life for residents of St Charles. The open house will be a casual outdoor setting where residents will be able to ask questions and visit one-on-one with the Direct Communications engineering and project managers. Residents are welcome to stop by our tent anytime from 4pm till 7pm. 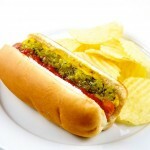 Free hot dog, chips, and a drink will be served for dinner. Directcom will be serving hot dogs and chips at the open house. There will be displays outlining the construction plan, a typical fiber installation to each home, and the fiber electronics which will be placed in each subscribing home. We will also provide materials and tips on how to prepare to fully utilize the fiber connection to your home, like home-networking best practices and recommendations for routers, etc. New customers will also be able to pre-register for fiber service. We invite and encourage all residents of St Charles to attend. Stop by and get answers to all your questions about fiber and how it will affect you. The small town of St Charles, situated at the north shore of Bear Lake, will become the next town in Idaho to get Fiber to the Home. Local broadband provider, Direct Communications, will be replacing older copper communications lines with all new Fiber to the Home, bringing 1 Gigabit Internet speeds and luxury Internet service for all residents living in the city limits, plus homes along some fiber branch lines that extend outside city limits, including some subdivisions along the Minnetonka Cave Road . New fiber will also be installed to homes south down the state highway to about 1/2 mile outside of St Charles city limits. This new fiber construction project will begin in June 2016 and the first customers will begin to be cut over from DSL to Fiber connections in August 2016. All homes in St Charles currently on copper should be completely cut over to 100% fiber to the home by the end of 2016. 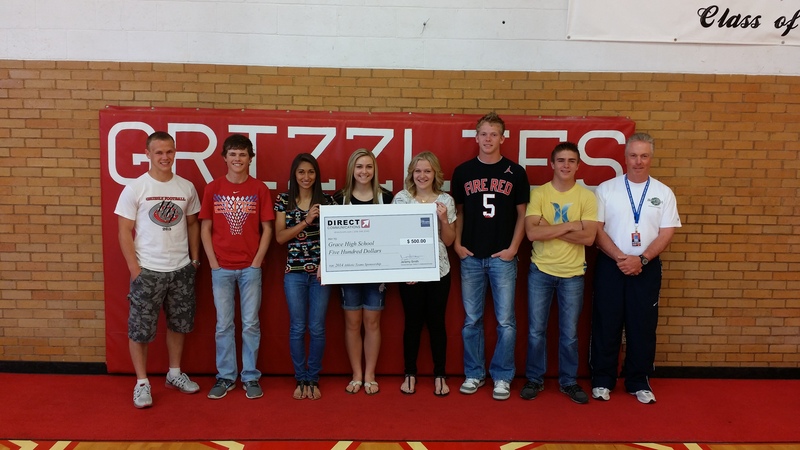 This project will bring fiber to the home service to about 140 more homes in the Bear Lake area. Current customers do not need to pre-register for service–they will be automatically upgraded for free when fiber to the home is ready. Direct Communications is currently waiting for some state highway permits, and finalizing choosing a contractor for the main construction work. 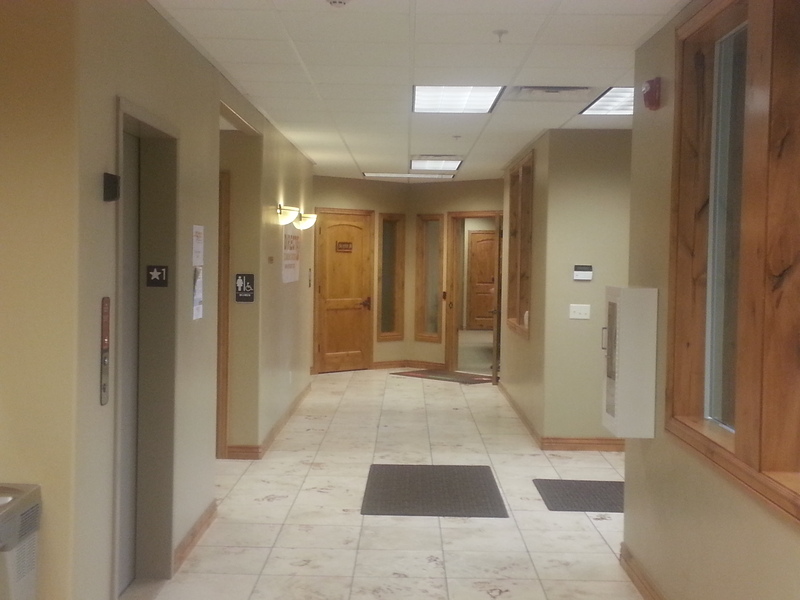 The company prefers to work with local businesses and contractors. For example, much of the duct material used in this project will be coming from local southeast Idaho manufacturer, Plastic Industries. Any local contractors still interested in being involved in the project should contact Directcom engineering manager, Matt Farr. Contractors will be doing the main construction work along roads and city grids, burying the conduit that will protect the fiber optic cable. However, Directcom crews will be doing the final drops across customers yards. 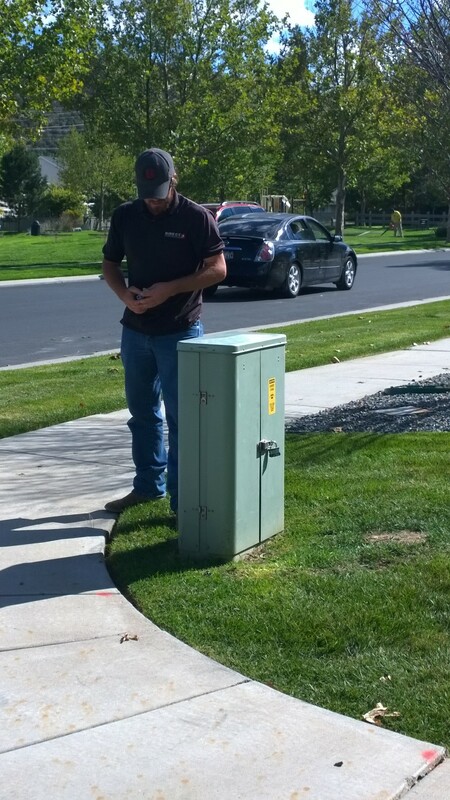 The final fiber splice to the home and cutover to fiber at the home will be completed by Directcom’s own techs, who will be installing Optical Network Terminals on the outside, or sometimes, depending on the situation, the inside, of customers homes. Since fiber does not carry an electrical signal like copper, each fiber terminal needs a power supply to power the electronics which convert the digital laser light to an Ethernet signal inside the home. Farr estimates the total cost for the fiber construction project will be around $400,000. However, the company will also have to invest significant capital into electronic equipment upgrades in the central office and remote cabinets to support the fiber network. Also, each customer will receive new fiber electronics on the outside of their home, which will replace the old copper network box, which Direct Communications will supply for free to the customer. The fiber electronics can often be the more expensive part of any fiber project. This St Charles construction project is part of a greater push by Directcom to speed up the process of converting older copper neighborhoods to fiber. 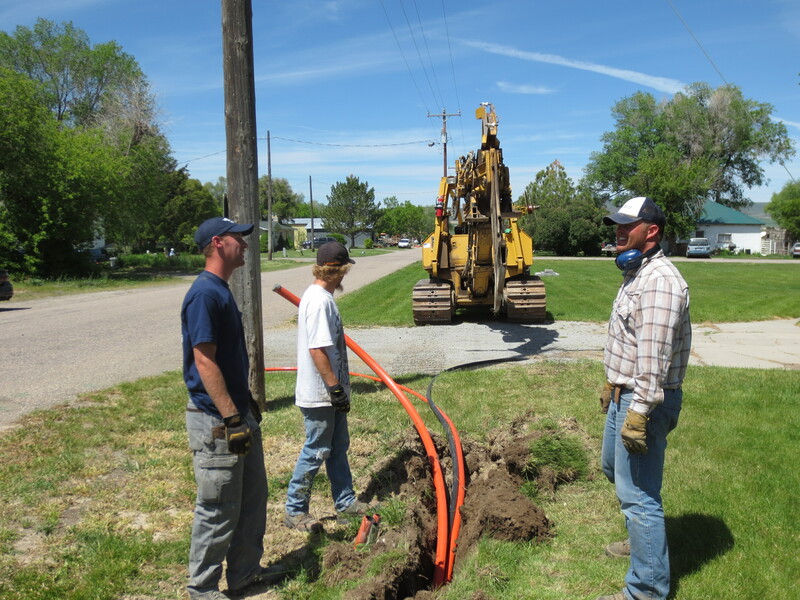 During 2015, the company completed a multi-year fiber to the home project in Rockland Idaho, and is currently working on installing fiber to several other subdivisions in the Bear Lake area. 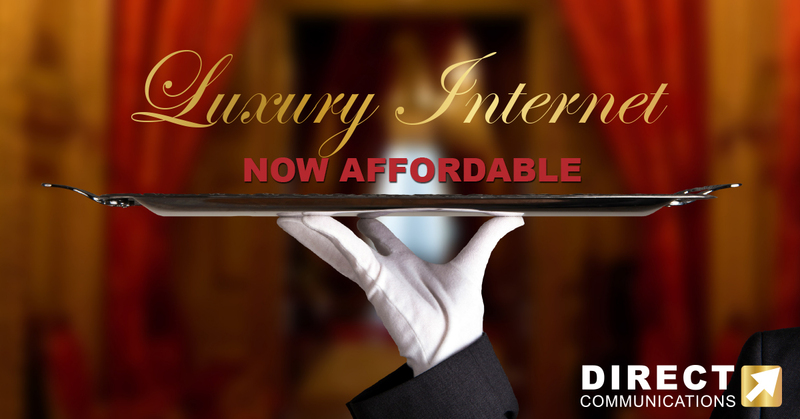 Fiber means luxury Internet service and 1 Gig speeds. Willingness of city officials to work with us on a utility project. 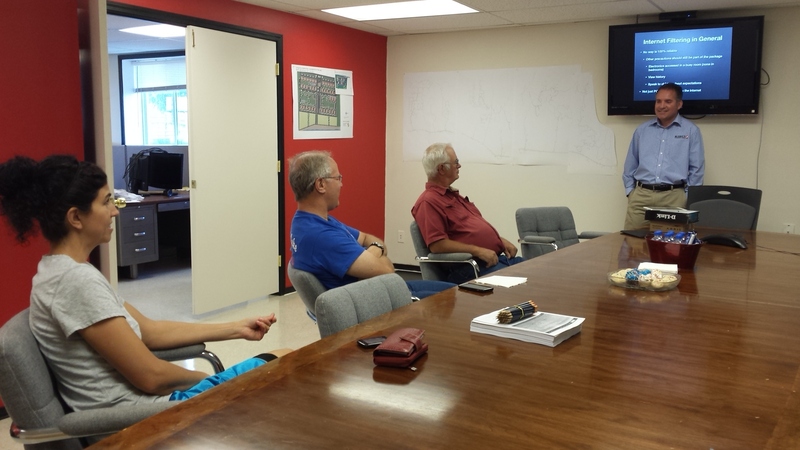 The city of St Charles was particularly helpful in providing information on public easements, and giving us permits and easy access to public right of way on city streets. The condition of legacy copper laid by the original phone company decades ago. Much of the original copper was in dire need of an upgrade, and where the old copper is causing the most problems for both customers and the network techs, the company will often seek to upgrade those areas to fiber first. Generally, yards and gardens will not be disturbed, except where existing telephone pedestals are located at the corner of property lots– these pedestals will be replaced with handholes, which will be buried and placed level to the ground, which the company hoped would be welcomed by homeowners, since having no visible equipment would enhance curb appeal of the neighborhood. We will use a maxisneaker or small DitchWitch drop plow to cut a line through lawn and drop in the conduit, with minimize impact on yards or lawns. The fiber project won’t be disturbing any existing pavement or concrete–the company will bore under any existing paving with a directional drill. There also shouldn’t be any major traffic disruption–Direct Communications will be working with the state on the highway construction portion. Matt Farr, Engineering Manager for Direct Communications, explained that for this St Charles project, much of the work will be done by utility contractors in order to speed up the upgrade process. Please be patient with us as we roll out this plan to bring you better broadband service. In the meantime, go ahead and pre-register for fiber optic service so that we know you want it at your home. Fiber is the future of communications, and the key to future economic growth, education, entertainment, and access to a world of opportunities in our new information economy. Fiber to your home will improve your life even if you don’t use the Internet, because fiber optic cable to a home will instantly increase the value of your home. St Charles will soon have the most advanced modern communications network available anywhere in America. Most residents in big cities, even in the most expensive neighborhoods in the USA, do not yet have access to fiber optic cable, but soon St Charles residents will join the 6% of Americans with access to this fantastic service. Directcom Fiber will bring residents connection speeds 50 times faster than what is currently available in rural St Charles. Work from home, start an online business, enjoy instant downloads, immediate uploads, and faster streaming HD video like Netflix SuperHD . Fiber is more than just Internet. It’s endless possibilities. Phase 1: Bury main conduit 48” deep along the city streets. Phase 7: Mount new fiber ONT (optic network terminal) on the outside of each home. Phase 8: Make final connection from your computer or router to your new fiber line via ONT. This ONT will convert the digital light signals sent over the fiber, into an Ethernet signal which can be read by home computers. Click on the “view larger map” icon on the top right bar of the network map below, and enter your address in the search field in the google maps interface to see if fiber is available at your address. Orange areas are Fiber-to-the-home. 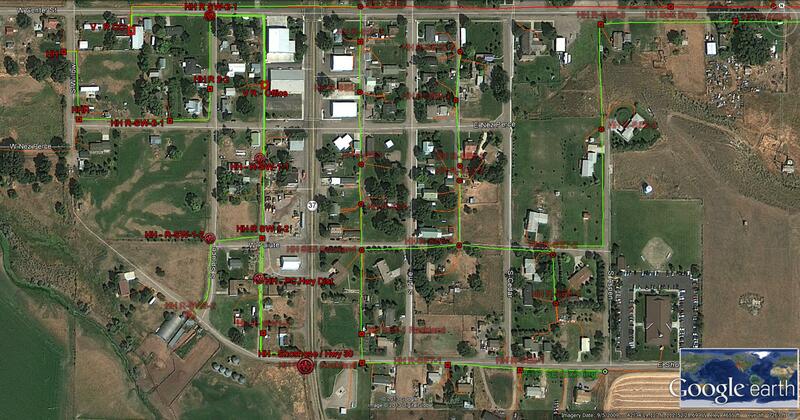 Yellow areas are still copper to the home, and may be upgraded to fiber in the future. Red is cable Internet. I felt a real sadness, a loss, as I removed the Syringa Wireless SIM card from her phone, and replaced it with a new Verizon card. This was the end of an era, and the end of a grand dream. And, it once again raises the question: How can the little guy survive in today’s market? We already knew all about providing voice service. We had a ready-made customer base. We had a rural network to tap into. We had a few million dollars in funding. We had a growing industry. What could possibly go wrong? Well, things started to go wrong right from the start. The funding ran out quickly. Like most startups, Syringa Wireless struggled year after year to generate a positive cash flow. Spectrum licencing was an issue. Tower lease costs were an issue. Securing the latest handsets was an issue. Our customers didn’t automatically trust our new wireless service like we assumed they would–they trusted the marketing they saw on TV from the big boys. The biggest obstacle was of course the crushing competition from very rich, very large, and very powerful multinational wireless giants. This wasn’t as big an issue in 2006 as it quickly became once smart phones became part of everyday consumer life. Everything can change so quickly in this industry. In 2006 the Syringa Wireless tagline was “Ring Me.” Those were the old days when people still talked to each other. Nobody could have forseen in 2006 how mobile data and the coolness of the smart device would become the only thing that mattered in the mobile phone market. Like most things over the past decade, it all started with the iPhone. We couldn’t get them. The big boys could. We were still peddling Blackberrys with those ridiculous rollerballs (Canadians!) while the iPhone was taking over the industry. I remember sitting at a table eating a sandwich with a pasty software engineer from Blackberry during a CES Conference in Vegas. We were watching the beautiful people instinctively flock like the salmon of Capistrano to the booths that advertised iPhone and Android apps, while the Blackberry tradeshow booth was deserted and cold. Nobody was making apps for Blackberry. I asked the Blackberry engineer about this contrast. He scoffed and said something like: “People don’t want apps. They want our secure email platform.” Well, turns out, no, they really did want apps. And they wanted the trendy phones. And we didn’t have them. I knew we were doomed when I saw one of my coworkers sheepishly trying to hide when I caught him hanging around the AT&T booth in Costco. Eventually Syringa Wireless got the iPhone, but by then it was all about 4G. Syringa Wireless put up over 70 towers in rural Idaho, and we had great voice service, especially since customers could roam on both Verizon and Sprint, so you had their whole network plus our rural network, but while the big boys were fighting over who could make the most outrageous advertising claims about their 4G service, Syringa Wireless was desperately trying to roll out 3G service everywhere. By then, Syringa Networks had taken over direct ownership of the struggling Syringa Wireless company, and their play was to offer unlimited 3G service, so customers wouldn’t have to worry about mobile data caps. Seemed like sensible brand positioning, but the ever widening gap between the big national companies and a local Idaho home-grown wireless company turned out to be too far to overcome, and Syringa Wireless had to close up shop at the end of 2015. Syringa Wireless lasted a lot longer than many of the other smaller wireless providers who were gobbled up years ago. It is important to remember that Syringa Wireless was not a dealer, agent or rebranding of one of the larger providers–this was a unique, grassroots Idaho mobile network with their own towers and equipment, trying to make it against all odds. Maybe someday the story will make a good Hollywood movie. So, what did we lose with the end of Syringa Wireless? Well, for one thing, the last outpost of local customer service in the wireless industry. When I wanted a new phone, all I had to do was walk a few paces over to Linda’s desk or Tina’s desk and ask for a new phone. Tina would open the drawer, give me a new phone, and have it activated in a couple of minutes. Any customer in our service area who walked into our office could enjoy a similar relaxing, personal service experience. My first trip to the Verizon/Oligopoly store was a vastly different experience. Interestingly, I had just come from a federal government agency office before visiting the wireless store, and the experiences were eerily similar. I basically had to take a number and take a seat. At the federal agency, it was my social I had to enter into a screen. At the Verizon store, it was my wireless phone number. Then, we sat, and sat, and waited, while they called names. All around me at both places, people were staring blankly at the walls and floor, totally depressed. The place was overcrowded and understaffed; the employees were doing their best to keep up but were sticking carefully to procedures and policies. I was impressed with the efficiency of our designated salesperson once our name was finally called, but the process of trying to sign up for phone service took over an hour. I came out with nothing except a working phone. No receipt. No account number. I was told to go online to complete the process. And, keep in mind, this was in rural Pocatello Idaho. I shudder to think what it would be like in one of those stores in a major city. This is the nature of the oligopoly. People clearly had nowhere else to go–the other company’s store would have been just as crowded. I have worked in telecom for over 10 years and had never seen a line of customers like this–not even when we offered the $1 a month mobile phone. For several years, we have been pleased to provide you with you complimentary Google email service branded as an icsofidaho.net or dcdi.net address. This email service was hosted in the background by Google, under a reseller agreement. Due to a decision by Google to no longer offer wholesale email services to ISPs, Direct Communications will no longer be able to offer Directcom-branded Google email to our customers. Please note: this change will not affect your Internet connection or ability to use any regular Google products. Your email address will remain the same. Only the background host, or in other words, where your email is stored, is changing. All @dcdi.net and @emcity.net email accounts must be changed from a Google interface, to a new email host, called Zimbra, which is hosted by NeoNova, or be shut down at the end of June 2015. You will already have received an email sent from NeoNova. Please follow the instructions in that email to migrate your email to the new Zimbra email service. If you do nothing, you will eventually lose access to your email account once Google shuts off their email service. Will it cost me anything to keep my @dcdi email address? Because of the additional costs associated with this switch, customers who wish to keep their @dcdi email account will be charged $2.95/month (plus $.99 for each additional mailbox) for hosted email service, beginning on 6/1/2015. Email service will continue to be FREE for internet customers subscribing to at least 20MB speeds. Please call Direct Communications Customer Service at 208 548 2345 if you have any questions or concerns about this change. Location: Eagle Mountain, Utah. Local residents especially encouraged to apply. Wage: $10 to $12/hour, DOE. Part time. 20 hours per week. 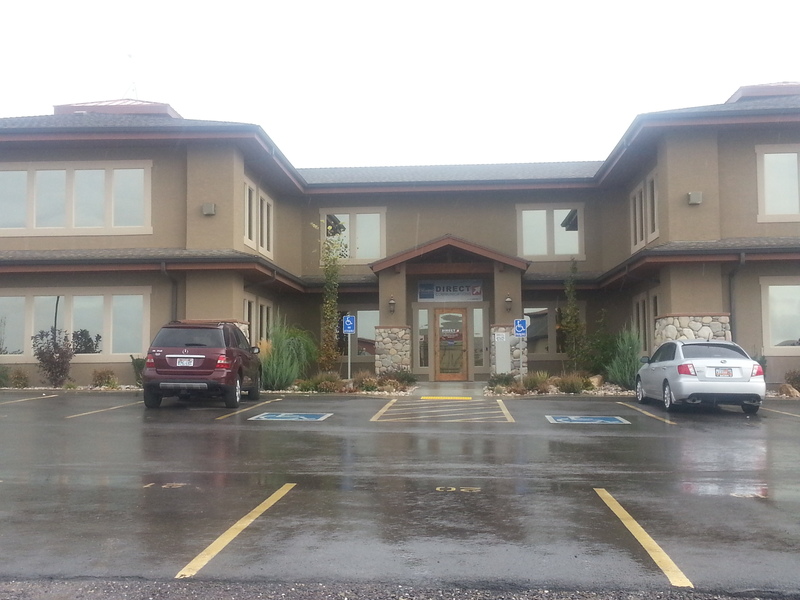 You will work out of Direct Communications office building in the Ranches, Eagle Mountain Utah. Direct Communications Cedar Valley is now hiring a new Support Technician (Level 1) to work within its Installation and Maintenance Team. The duties will include fielding inbound calls and remotely troubleshooting service issues with our customers. Typically the technician will be working out of our call center in Eagle Mountain, taking calls as they come in and making every effort to repair trouble over the phone and in the case where that is not possible, they will dispatch tech to site for further trouble shooting. This is a part time position and hours will include 5 hours a day, Monday through Friday. 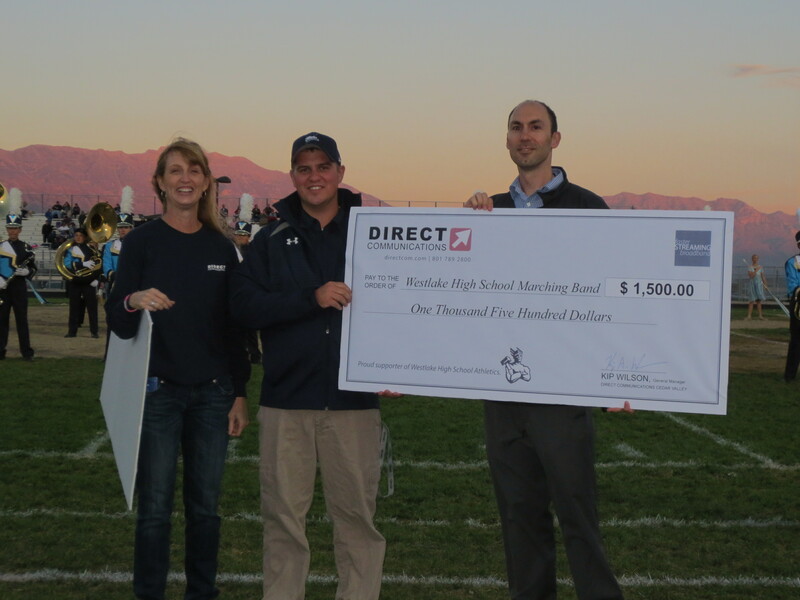 Direct Communications Cedar Valley is a Telephone and Internet service provider based in Eagle Mountain Utah. We currently service approximately 4000 customers via both copper twisted pair wire and Fiber Optic cable from our Central office to the customer premises. Technician hired will be trained on our remote systems to be able to trouble shoot the entirety of the circuit using our back office tools, and also, assist customer with Wi-Fi and home networking issues to insure seamless service and customer satisfaction. • Provide accurate and timely updates to our customers and document customer cases. To perform this job successfully, individuals must be able to perform each essential duty satisfactorily based on company standards. The requirements listed below are representative of the knowledge, skill, and/or ability required to perform the job successfully. • Technical Support Center Experience a plus. Wage range is $10 to $12/hour, depending on experience, qualifications and skills. Experience with internet protocol is extremely beneficial. DCCV is an equal opportunity employer. 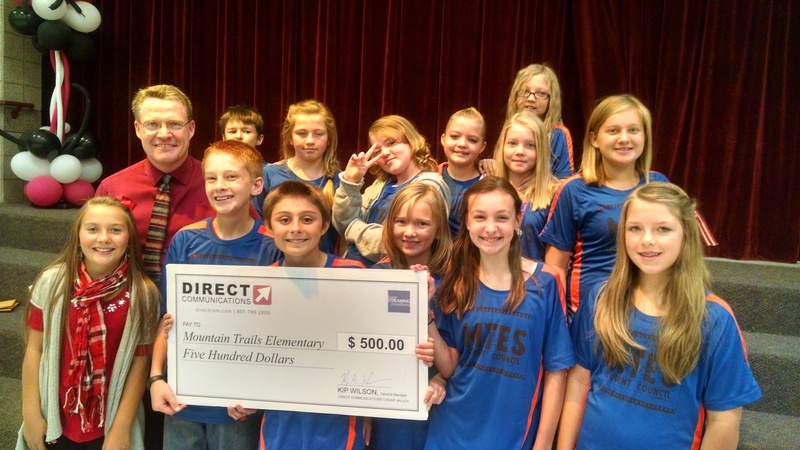 The end of the State mandated contract with a single broadband provider has resulted in many rural schools in southeast Idaho returning to their local internet providers this month, with great benefits for schools and taxpayers alike – specifically, more bandwidth speed for a fraction of the cost. 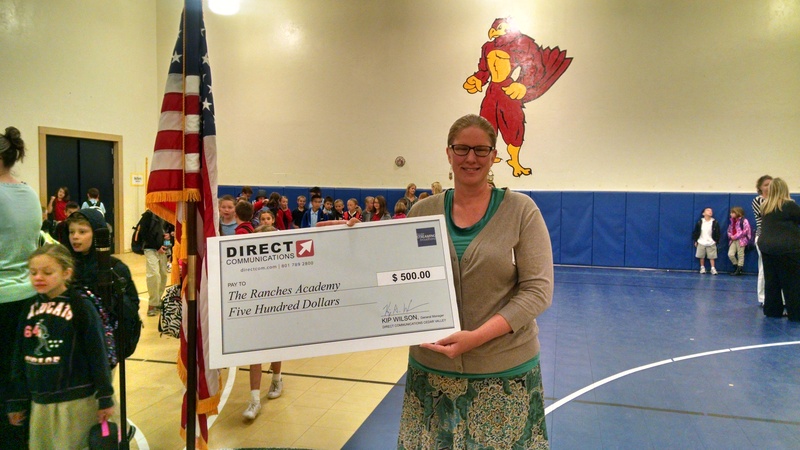 At 10 AM Friday morning, Rockland School District in rural Southeastern Idaho, pulled the plug on their Internet service from the IEN (Idaho Education Network), and switched to a much faster fiber-optic connection from local broadband company Direct Communications, for a fraction of the cost. While the state, under the now-void IEN contract, had been paying ENA (Education Networks of America) over $6,000.00 a month for a 20 Mbps Internet service to Rockland School District, for the 2016 school year the school district will pay less than a third of that cost for a new 100 Mbps service. 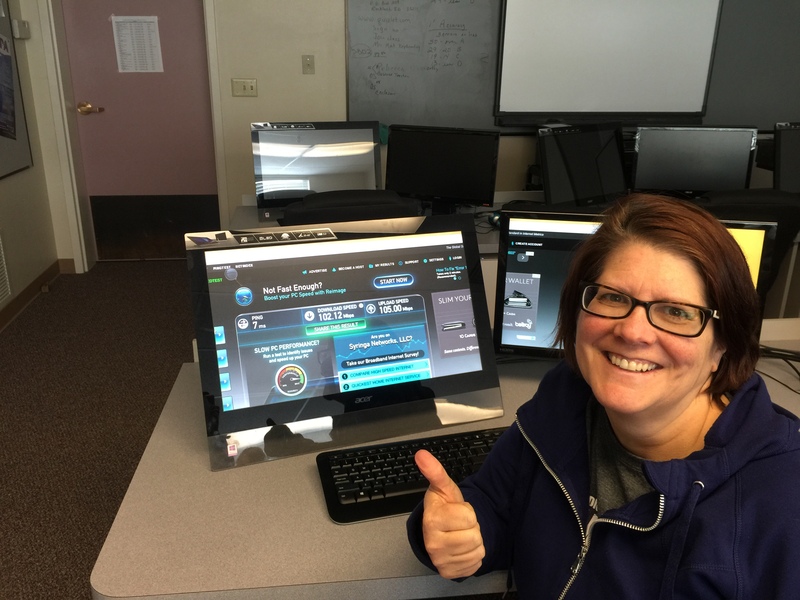 Rockland School District Technology Director, Rose Mathews, gives a thumbs up to her new 100Mb speed from Direct Communications, after running a speed test showing that the school is receiving a fully symmetrical 100Mb speed. The idea that rural Idaho schools were going to have better internet service under State control turned out to be false in many cases. 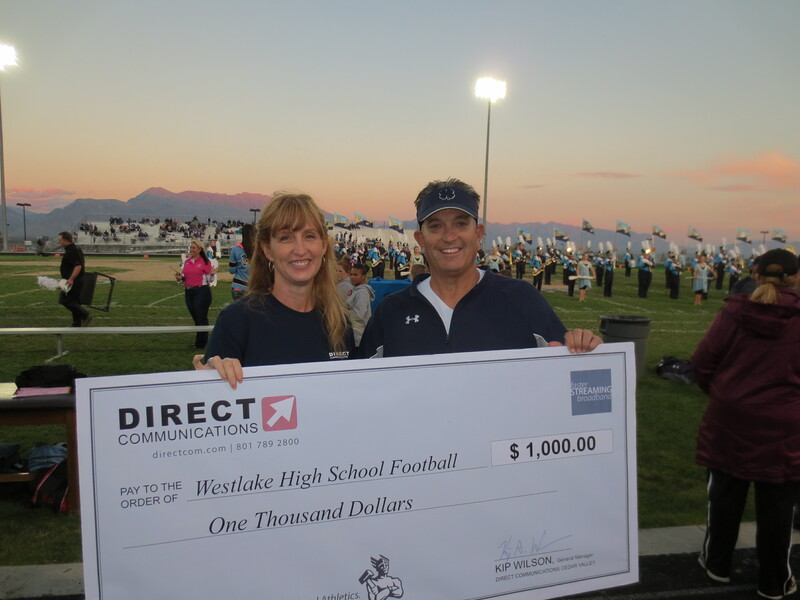 For example, the Westside School District in Dayton, Idaho, was already being served by state-of-the-art fiber-optic cable by local fiber broadband provider Direct Communications way back in 2008. 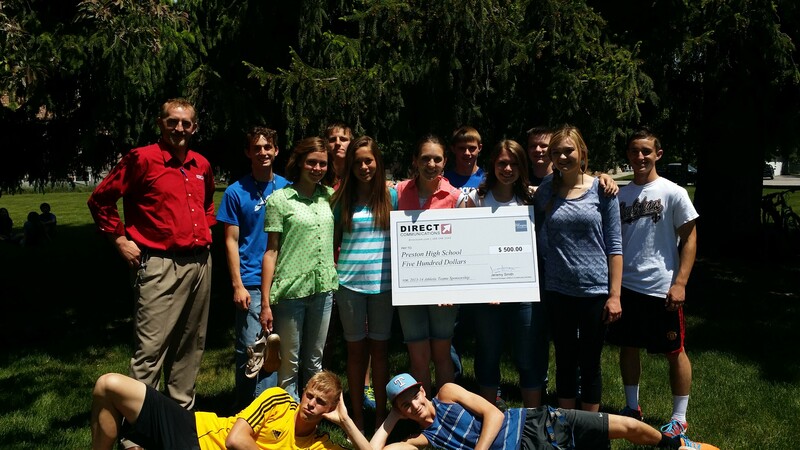 The local Idaho broadband company, which has been a local southeast Idaho family-owned business since 1954, has specialized in bringing fiber to remote areas for over 10 years, but when the State IEN contract declared that schools had to use CenturyLink service to get the IEN reimbursement, Westside school district was forced to disconnect their fiber connection and switch back to an outdated T1 (1.5 Mbps) copper connection, which was a big step backwards as far as technology goes—about a decade backwards in fact. 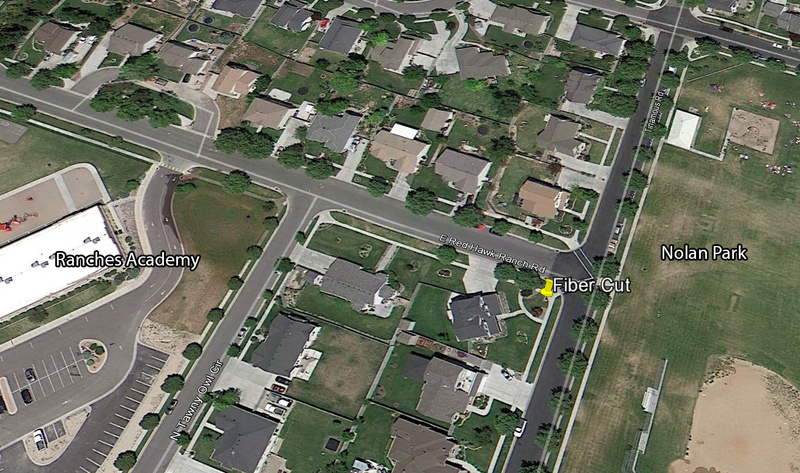 Where the district had only been paying a few hundred dollars per month for reliable fiber Internet service, once the IEN contract was in place, the Idaho State taxpayers were saddled with paying over $8000 a month for outdated copper service to that same location, and a local business was forced aside. The same thing happened with Preston School District, who just this week reactivated their fiber line through Direct Communications, which had been sitting dormant since 2009. 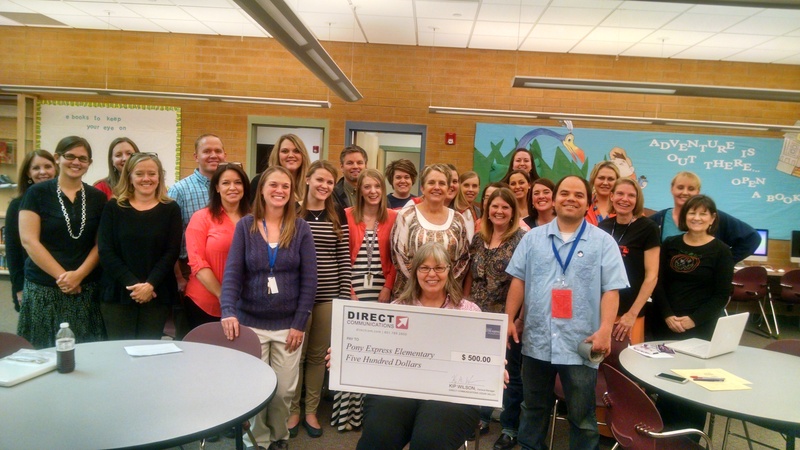 Preston School District will now receive double their previous speed, for about a fifth of the monthly cost. 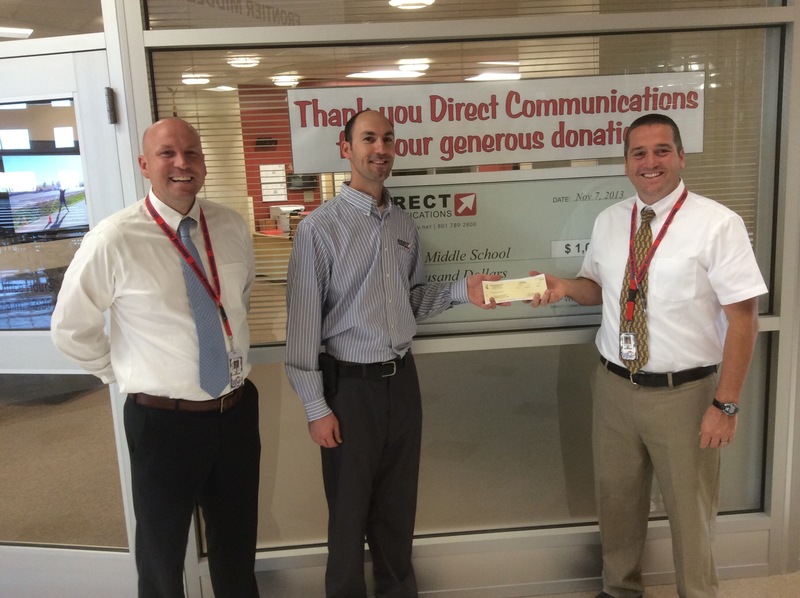 Rockland School District, a small 1A school located in a town of 295 people, found themselves in a similar situation, where despite their remote location and small size, had been enjoying a fiber optic connection for several years through local independent telecommunications company Direct Communications. For ENA to connect to Rockland School eventually took four tiers of providers because CenturyLink has no network in Rockland —local network provider Direct Communications handed the circuit off to Idaho regional fiber network provider Syringa Networks, who delivered it to CenturyLink, who then handed it to ENA, who was listed as the final service provider. This was standard practice for many remote districts, because CenturyLink does not have a presence in much of rural Idaho—a great number of small towns are served by local independent telephone companies, many of them started as farmers’ cooperatives. Each provider added their costs down the line. The $6,090.00 per month that state taxpayers were paying ENA for service to Rockland SD was by no means an outlier—many rural school districts were paying far more per month for service. Aberdeen School District Superintendent, Jane Ward, explained that she never knew what the IEN contract was costing the state until the state legislature asked for those figures to be published earlier this month. “We only knew that the state was paying 100% of our Internet service cost. Because the state was providing service to our school, it eliminated the annual paperwork I had to acquire to qualify our district for e-rate subsidies.” Mrs. Ward was extremely concerned when the school district was suddenly informed by the State Department of Education on February 16, 2015 that the school districts could be losing their Internet service as early as February 22. 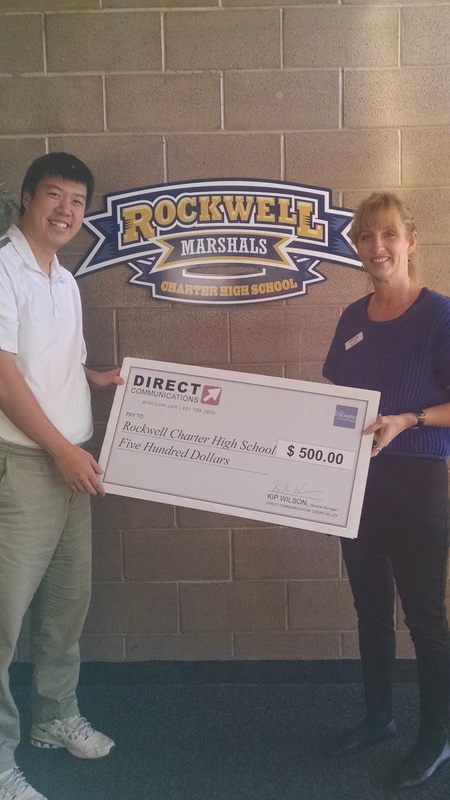 Mrs. Ward indicated she was fortunate enough to be able to immediately turn to their local cable provider, Direct Communications. 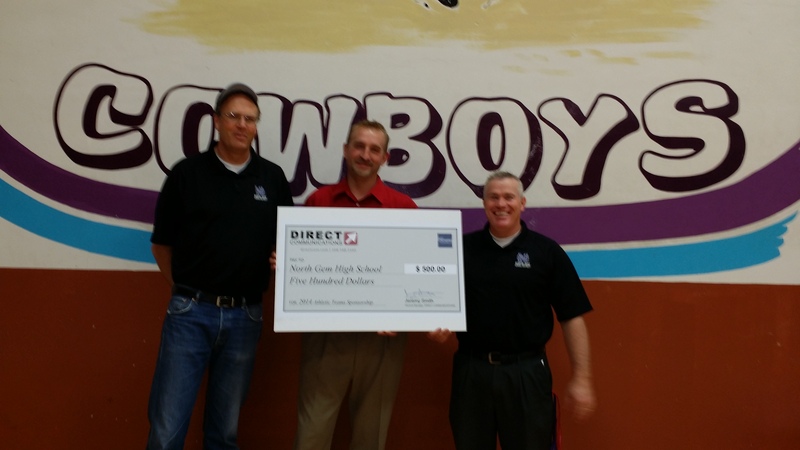 “Direct Communications brought the school district Internet service over 12 years ago when no one else would provide it at a reasonable cost. 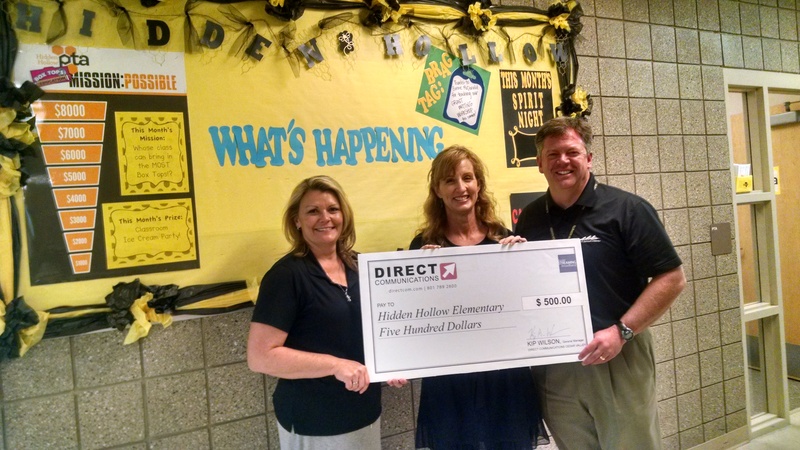 We have had a great relationship over the years, and I knew our school was actually being serviced by their fiber underneath the IEN layers.” Mrs. Ward went on to say, “It was an easy decision to go to Direct Communications for help. I knew I was saving the taxpayers money by switching, and I was confident the service was going to be just as reliable as before. 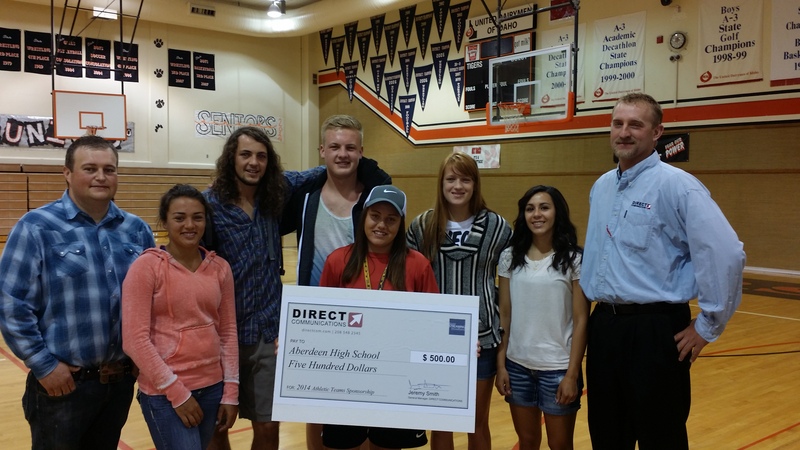 Direct Communications worked with our IT administrator to reconfigure the fiber connections on a Friday afternoon when school was out, and it took less than an hour.” The ENA cost for Aberdeen School District was $6,496.28 per month for 60Mb service. The new cost with Direct Communications fiber for the next school year will be less than a third of that cost for 100Mb service. 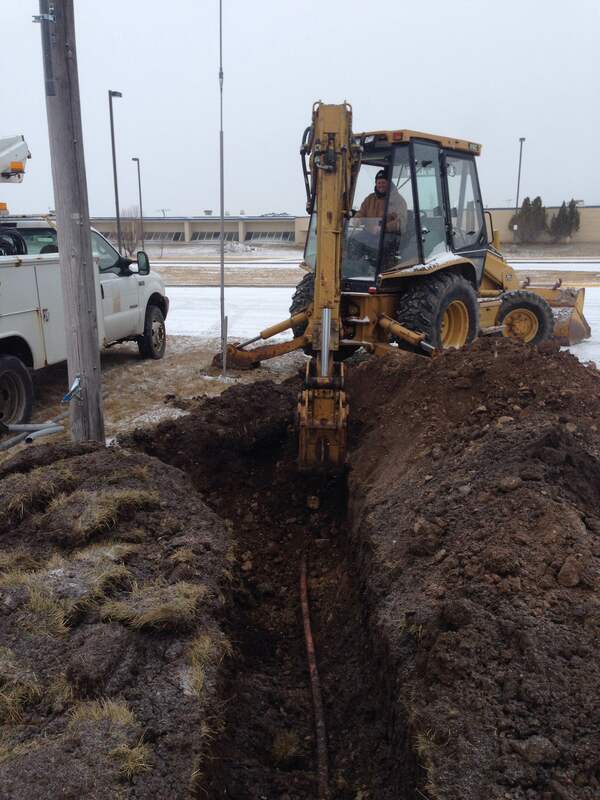 Lucas McHargue installs conduit for fiber optic cable to Bear Lake High School in Montpelier Idaho. 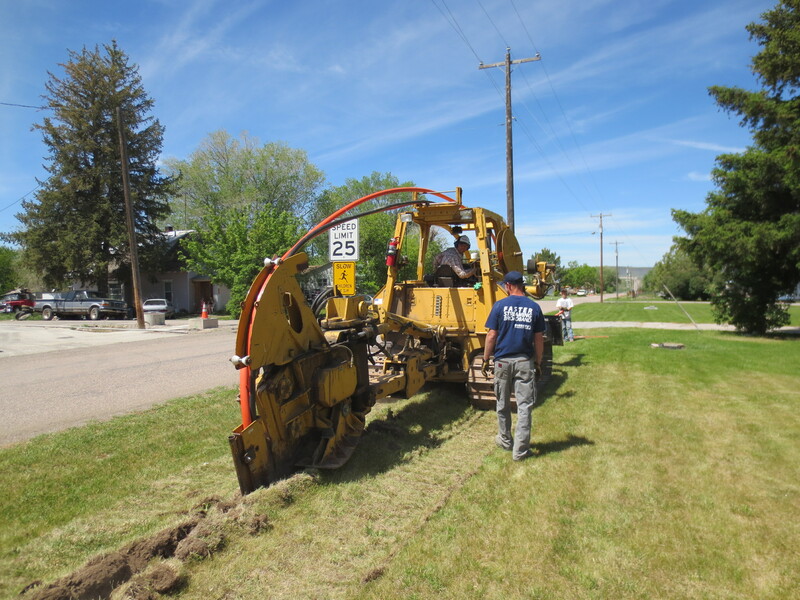 Direct Communications had a very busy week with crews working around the clock in three small Idaho towns this week to complete fiber builds to local school districts before the Friday E-rate deadline. Grace School District, North Gem School District, and Bear Lake School District will all be served by new fiber optic connections and faster speeds than they had before with IEN. The other important feature of this change is that these districts will now all be able to choose what bandwidth speed they want, no matter the size of their school and with the knowledge and comfort that they are using taxpayer dollars effectively. 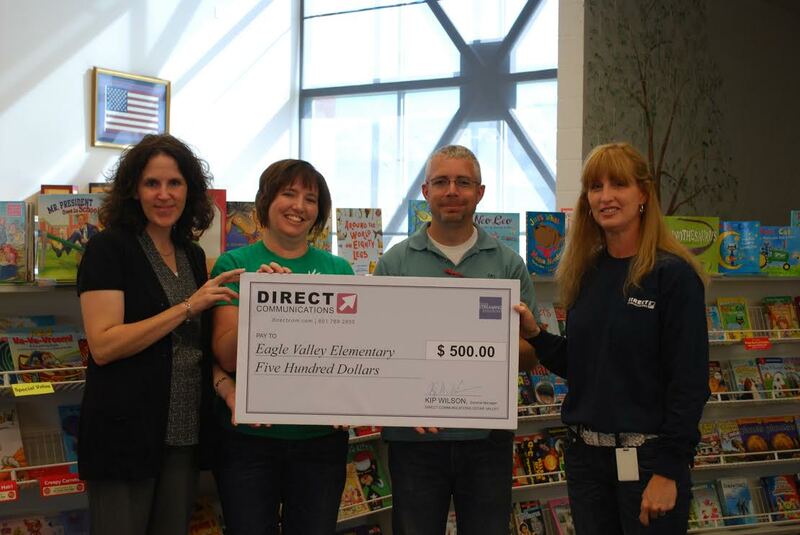 James Murdoch, the Network Administrator of Grace School District & North Gem School District, said of his experience with Direct Communications: “With barely over a week’s notice we contacted Direct Communications with what we needed and their people jumped into action. Daniel Parrish was able to meet our difficult needs and coordinate everything, taking late-night phone calls to make it happen. 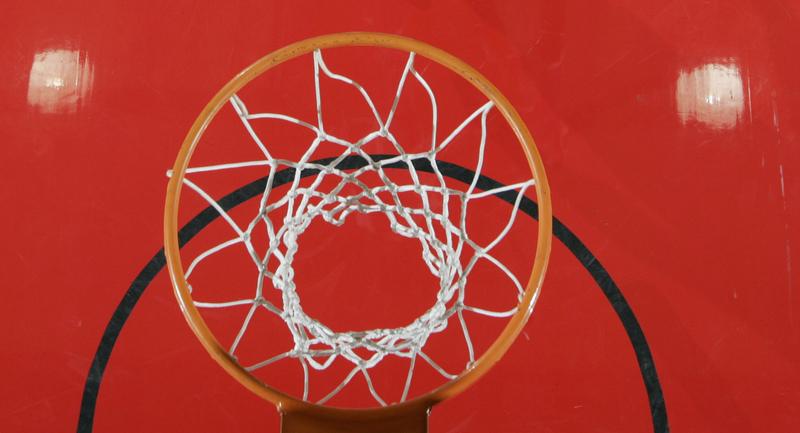 Matt Farr, their engineer, was at one of our schools watching his sons in a basketball game. I was able to locate him and between games he was able to do a site survey and give an initial approval on the project. We appreciated him taking his personal time to help us. The Directcom installation crews worked long hours well into the night several nights to bring the fiber to our school. 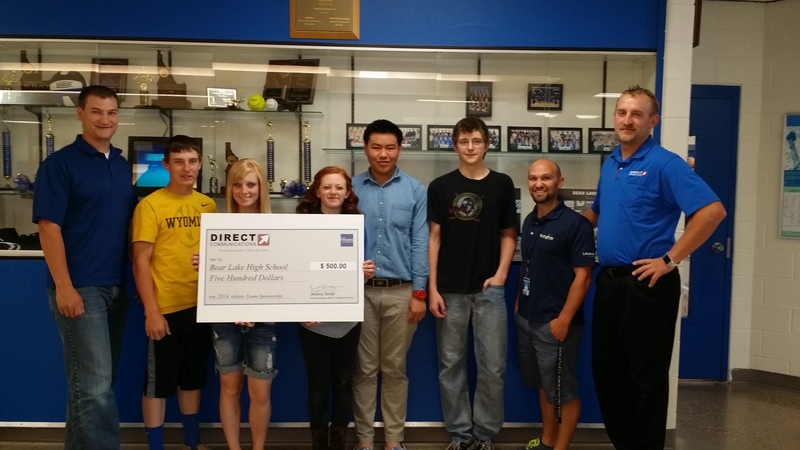 They did an outstanding job to quickly and efficiently make the project possible. Brian Black, their Senior Network Administrator, was willing to meet with us any time to help configure our equipment and actually finish with the installation. I was pleased at the courteous, quick and professional manner that each individual employee had. Rather than acting put-out by the unreasonable timeline that we had given them they took it as more of a challenge and were happy to help us achieve our needs. 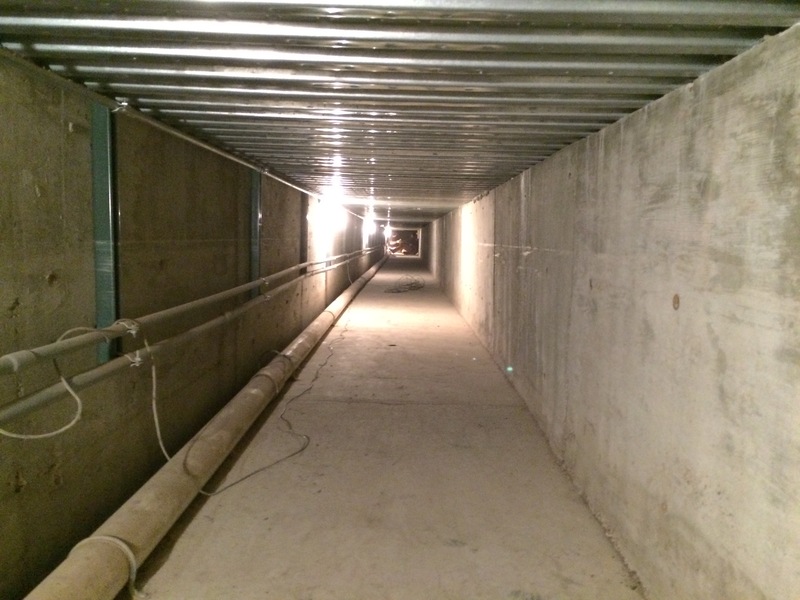 Lucas McHargue and Brenden Argyle pull fiber through an underground tunnel in Grace High School. Matt Farr wanted to thank the local contractors, Track Utilities and Das-Co who worked alongside Directcom crews and helped get fiber to the schools on time. Mathews reflects: “The IEN was a good concept. The funding for Internet service was important, because local communities aren’t always willing to pay for adequate Internet service. The network management and the help with the routers and tech support was good. The schools still need a way to connect together to provide shared classes and video conferencing. Where the IEN went wrong was forcing everyone to use the same internet service provider for basic bandwidth. As long as they allow us to choose our own provider, I think there is a place for the IEN. I hope our legislature will still find a way to continue to cover the full cost of Internet service to schools, because that is just becoming more important each year. Like all of us, you have probably been bombarded with junk mail from satellite TV companies and dealers advertising “new” satellite Internet service. For many years, Direct Communications sold satellite Internet service as a last-resort product for customers simply too far away to receive any other kind of service. More recently, we decided to stop offering the product altogether, as fixed and mobile wireless data options and coverage increased, and customer bandwidth demand for services like streaming video made satellite a very unattractive solution for most people. There are two fundamental problems with satellite Internet that will not go away, no matter how much the satellite TV dealers try to market their Internet product as a viable solution, tell you it’s “new and improved,” and try to get customers to bundle an inferior satellite internet with satellite TV. Don’t be fooled–satellite should only be used if there is no other possible way on earth you can get Internet service to your home–while it still has a place for homes in very remote locations (off-the-grid basically) it is a very inferior way to deliver internet service, and cannot meet the needs of most modern Internet users. Problem #1: Satellites are in space. This isn’t a problem for delivering a one-way, linear TV service, but sending Internet packets of data back and forth, thousands of miles into the sky and then back down again wirelessly, creates some serious time lag issues. (According to http://www.hughesnet.com/index.cfm?page=Satellite-Internet-101 “A request for a Web page is sent from your computer to a satellite about 22,000 miles out in space.”) Expect to wait several seconds for a response from the remote website server each time you click. This can be very tedious at the best of times even just browsing, and extremely frustrating any time you are trying to do anything interactive online like chat, game, or shop. Beware–if you are used to unlimited Internet usage, switching to satellite Internet will make you very frustrated and angry. Even on the top available satellite Internet plan, ($80 per month) you still only get 30 GB of data to use each month. This will be a serious problem for almost all normal internet users, because if you use all of that data before the month is up, you must either pay extra to buy more data or have your Internet speed significantly reduced. Some providers advertise 15 GB of “bonus data” in their plans, but NOTE: this may only be used between 2am and 8 am. If you get near the cap, they’ll send you a warning notice. If you exceed it, they’ll throttle your speed to down 128k (dial-up). You can add additional data in 1GB increments for $10 each. All of the satellite companies enforce data caps or throttling policies, and they will tell you up front not to stream video online. Now, consider this: Streaming in 1080p on Netflix takes up 4.7GB/hour. 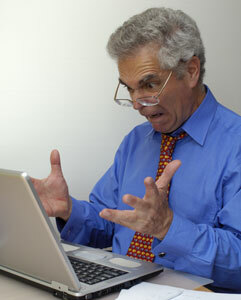 That means the average HD movie download uses over 10GB of data. If you watched just one movie online a night, that would use up 300GB of data a month. But, you are not just watching movies, are you? You are banking, surfing, emailing, downloading photos and videos from your family. Your kids are streaming kids shows all day long on Netflix, and probably streaming music all day long at home. If you are using Satellite Internet, you could easily burn through an entire monthly data allotment in one day. Over half of Directcom customers use about 250 GB per month of data per household, and our top 10% of streamers average over 460GB per month. We calculate that our average customer would be paying an extra $15 a month in data overages with the leading wireless ISP in the area, and over $1000 a month using 4G from the leading cell phone providers. “The Internet provider at my current location is cable/fiber. Is dishNET Satellite a good solution for me? which may negatively affect some activities such as real-time gaming and VoIP. Local satellite dealers may still try to sell you this service. Don’t be fooled, and don’t pay extra. 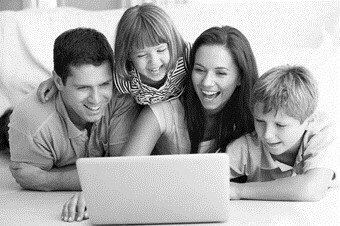 Trust Directcom Fiber Optic Broadband for all your family’s entertainment and connectivity needs. No Caps. No Throttling. No Limits! So, why are companies like Dish trying so hard to sell you satellite Internet service? A lot of the junk mail is coming from local dealers wanting a sale no matter whether it’s a good fit for you. But, in the bigger picture, the writing is on the wall for traditional satellite TV service, with more and more people moving to online entertainment sources like Netflix, Hulu, Amazon, YouTube etc. With their TV subscriber base decreasing each year, satellite companies are very aggressively seeking for new sources of revenue. They know the Internet is the future of entertainment. This could be why Dish bought up several satellite Internet companies recently, and has been aggressively purchasing wireless bandwidth all over the country. Dish recently announced a streaming TV service called Sling TV, which skips satellite altogether and allows people watch all their TV purely online. We applaud these moves and hope to see more convenient online video options for consumers, but you will need an unlimited bandwidth plan to enjoy all this streaming video. Ill Father to Perform at Soda Springs High School Nov. 20 at 7 p.m.
Ill father, singer to perform at Soda Springs High School Nov. 20 at 7 p.m.
Ron and Nicole Berg, and son Ben. SODA SPRINGS — 28-year-old Ron Berg, husband to former Direct Communications employee, Nicole Berg, and father to 4-year-old Ben Berg, will perform at a benefit concert with Season 8 “American Idol” contestant Devin Bodkin, of Blackfoot, at Soda Springs High School on Thursday, Nov. 20, starting at 7 p.m.
Ron was diagnosed with Stage 3 brain cancer (anaplastic astrocytoma) seven years ago. At that time he was given less than one year to live. One year ago, Ron was diagnosed with stage four brain cancer (glioblastoma) and once again given less than a year to live. It has been 13 months, and Ron just learned that the cancer is all through his brain, and he has been given just a few months to live. Of course, we have seen, and can continue to see miracles, but we would like to let Ron do something for our community that has been his passion since he was 8 years old. He has had a love for music. He is a talented songwriter, singer, pianist and guitarist. There will be a silent auction as well as door prizes. If anyone would like to contribute to this benefit concert by way of attendance at the concert, donating something for the auction and/or door prizes it would be greatly appreciated. Please call Brenda Cellan at 547-7089 if you have something you would like to donate. 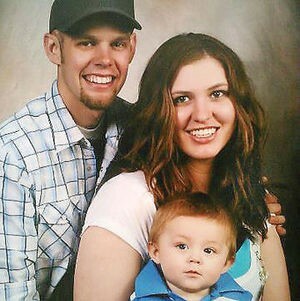 Ron has been unable to work for the past year, so any donation would help his family out immensely. If you are unable to attend the concert, but would still like to make a monetary contribution, you can do so at any Advantage Plus Federal Credit Union or Wells Fargo Bank. Just tell them you would like to make a deposit into Ron L. Berg’s account with his birthday of 12-6-85 and tell them he lives in Soda Springs. 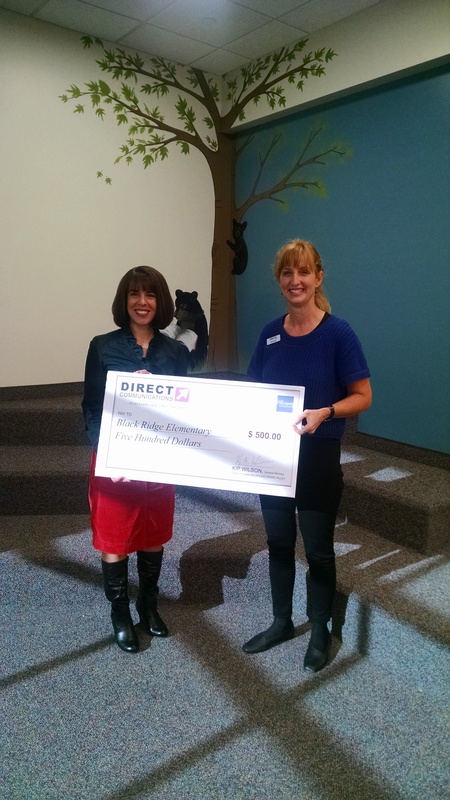 Come TRICK OR TREAT at your local DIRECT COMMUNICATIONS office in Paris, Rockland, or Eagle Mountain Utah, from 2-4 PM, HALLOWEEN, FRIDAY OCTOBER 31. We will have lots of treats for the kids. Here’s a look at some of the best Halloween costumes created by Directcom employees over the years. John – What does the fox say? We are excited to announce that the Direct Communications Cable TV signal was upgraded at the end of 2014 from analog to full digital. This project was completed on November 4th. What does this mean for you? If you have a digital TV, this transition should be seamless and you can immediately begin enjoying your higher quality digital content. If you have an older analog TV, you will need a set top box to convert the digital signal or upgrade to a digital TV. 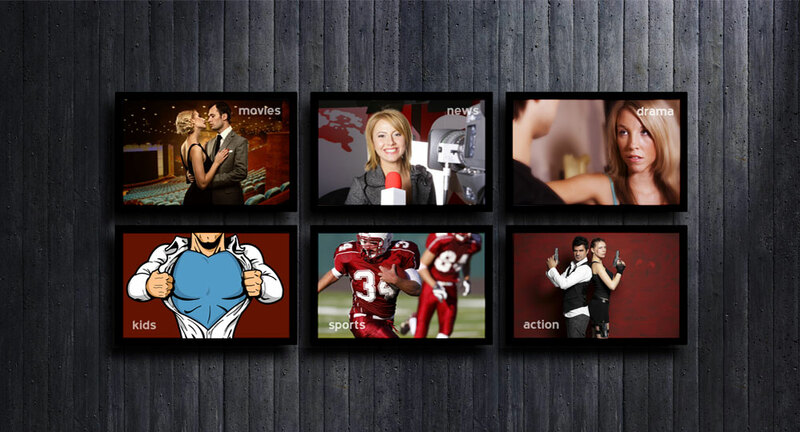 This article will give information to help you determine whether your TV is ready for digital. With a digital signal, you will experience a clearer, higher quality image with less interference, so get ready to say goodbye to “snow” or “static.”We are committed to providing quality services to our rural areas and truly appreciate you choosing Direct Communications for your services. Please read carefully through this information, and call us if you have any more questions about whether your TV is ready for digital. To provide improved picture quality, increase bandwidth capacity and comply with federal mandates, Direct Communication is converting our cable TV signal from analog to digital in two Phases beginning at midnight, October 21. Channels 26-84 will be broadcast digitally. Analog transmissions of Channels 56-84 will cease. Analog Channels 26-55 will continue to broadcast even though being transmitted digitally as well. Customers will see duplicate channels until Phase II. Analog transmissions of Channels 26-55 will cease. Head end (tranmitting equipment) will be moved to a new building. 2005: The Digital Transition Act of 2005 mandated analog transmissions cease by 2/17/09. 2/11/09: Obama signed legislation extending the conversion from analog to digital for major broadcaster to 6/12/09. 6/12/09: Major broadcasters (defined as “full-power stations”) converted to digital signals. 9/1/2015: Smaller broadcasters (defined as “low-power stations”) and rural transporters like Direct Communications have had several deadlines to move to digital transmissions that have been pushed back repeatedly since 2010. However, the FCC and US government have set a hard deadline of 9/1/2015 to cease analog transmissions. Pre-2004 TVs will be analog. TVs sold after 5/25/07 were required to be digital or have a warning label indicating if they were analog. Why are we changing to digital? To provide improved picture quality, increase bandwidth capacity and comply with federal mandates, Direct Communication is converting our cable TV signal from analog to digital in two Phases beginning at midnight, October 21. Analog Channels 26-55 will continue to broadcast even though also being transmitted digitally as well. Customers will see duplicate channels until Phase II for these channels. How will the customer be affected in Phase I? Digital TV customers will only have to auto-program their TVs through the TV’s menu to pick up the new digital channels. Analog TV customers will lose channels 56-84. These customers will need to upgrade to a digital TV or get a set-top box (converter) which will convert the digital signal to analog. How will EXISITNG analog TV customers get the new digital content if they don’t want to buy a digital TV? Direct Communications will provide up to two set top boxes per account at no charge. Bulk accounts will be handled on an individual basis by our business sales representative, Daniel Parrish. How will NEW analog TV customers get the new digital content if they don’t want to buy a digital TV? The customer can purchase a set-top box on their own. The customer can include a TIVO with their services for a monthly charge that will act as a converter. 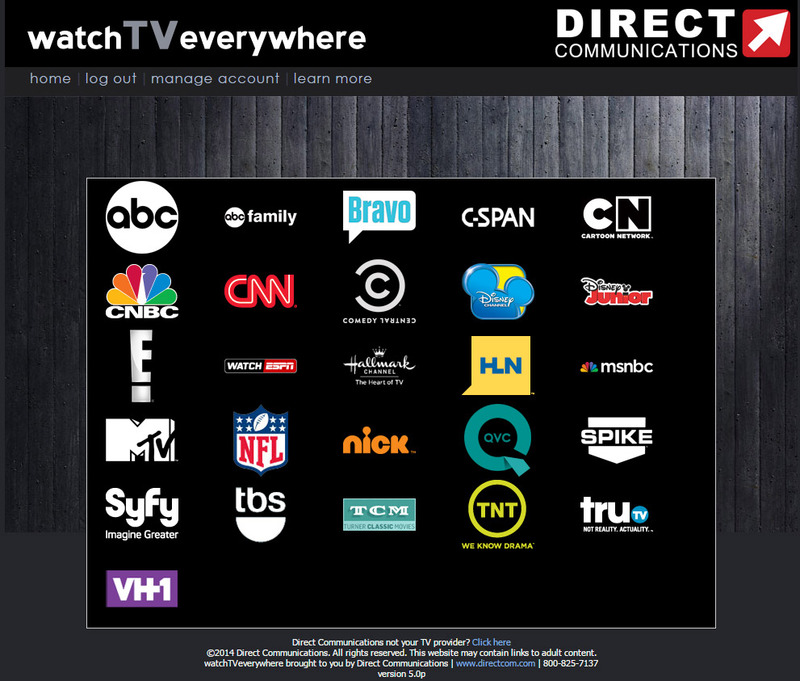 Direct Communications will provide a set-top box (converter) for $6.95/month. 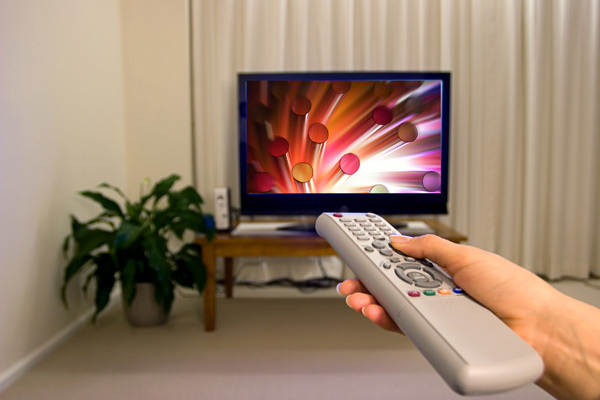 How can a customer determine if their TV is analog or digital? TVs purchased after 5/25/07 will most likely be digital but the customer should verify this. The customer can check the owners manual. The ID tag or serial number plate located on the back or side of the TV may indicate analog or digital. Visit the manufacturer’s website for the TV make and model listed on the serial number plate. What advantages does digital have over analog? Less interference such as “snow” or static”. The signal takes up less bandwidth making the signal more reliable. Can the customer elect to keep the analog signal? No. The analog transmission will cease and be replaced by the digital signal. We are excited about this conversion which will improve the customer experience with our service. How does a customer get a set-top box? At the request of the customer, the Customer Experience Rep will put their name on a project spreadsheet by city. The technician assigned to their area will contact them to install the set-top box. Installations will be in made in the order the requests are received. Existing customers may receive two (2) set-top boxes at no cost. Additional set-top boxes may be purchased at their local electronic stores. If I have a TiVo, will I automatically be digital-ready? Recently installed TiVos are digitally compatible. However, older TiVos may need to have an M-card installed in order to receive the digital signal. Customers who need an M-card have been identified and will be contacted by Direct Communications to schedule this installation. What will happen with the free digital (bonus) channels 100-195? These channels are digital versions of the current analog channels. When the analog channels are turned off, these digital versions will be moved up in the channel line up to replace them. They will be broadcast in all areas without interuptions. How will this digital conversion affect the Digital Plus package? The Digital Plus package line-up (Channels 309-491) will not change. These channels will not become available through the conversion in the basic or expanded packages unless they are already part of those packages. These channels are available only through subscribing to the Digital Plus package. Here is the new channel line-up. Although you will continue to see duplicates of analog channels 2-23, rather watch the digital versions of these channels, which will be in HD Digital quality. (For example, instead of watching channel 5 (KSL NBC), tune to channel 5.1 (KSL NBC HD) for a better viewing experience. 12.1 KUWB-CW HD 49.2 E! 114 KJZZ-IND HD 152 Bravo HD 189 11.3 KYBU Inter. Jeremy Smith teaches about internet filers in the Paris Office conference room. On September 18th, Jeremy Smith, our General Manager, taught a community workshop demonstrating how to set up internet content filters. Customers from Paris, Fish Haven and Montpelier learned specific ways to block unwanted internet content through their router ensuring devices using the home wifi network would be protected. This class is part of an ongoing effort by Direct Communications to increase customers’ understanding of technology and how to use it as a beneficial tool. More classes will be offered on a variety of topics in the future. If you have a specific request for a topic you would like us to instruct on, please leave your ideas in the comments below. On the morning of September 18, 2014, a vandalism crime targeting the fiber communications network in Eagle Mountain occurred, on the West side of Nolan park, at the SW corner of Tinamous Road & Red Hawk Ranch Road. A vandal got into a telecommunications pedestal, (see inserted picture of green metal box) and cut the fiber inside. This happened in broad daylight, and knocked out all internet to the Ranches Academy Elementary School. This above-ground enclosure was broken into and the fiber that was cut by a vandal. 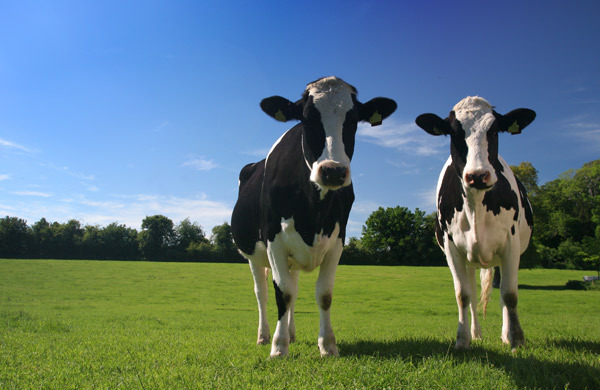 Today the average cow in the U.S. weighs 1350 pounds. In one of those moments unique to rural telecommunications, a cow stepped on some fiber optic cable that was exposed during some maintenance work last month in a pasture near the Cold Water area along the Snake River. The weight of the cow hoof kinked the fiber optic cable and temporarily knocked out service to a nearby cell tower, which was served by the fiber optic cable. Matt Farr, engineer for Directcom explained: “Usually our fiber is safely buried 4 feet underground, encased in conduit, and protected in vaults with 20,000 lb load ratings, but unfortunately a cow came along just at the wrong time. Our crew was preparing for some scheduled maintenance later that night and had laid some cable slack out on the ground. The cows in these part seem to know when and how to create the greatest amount of havoc for the bipeds, which made it even more difficult to explain to the customer, a big national carrier, that a cow was responsible for taking down their tower. They have very strict standards and procedures regarding downtime and it’s a big deal if tower service is ever affected. Cows don’t really figure into their equations. KSL–Salt Lake Broadcast to Cease in the McCammon, Downey and Lava areas. Local television broadcasting networks like KPVI (Idaho Falls – Pocatello) have specific rights under the FCC Network non-duplication rules which protect them from another television station broadcasting their affiliate network programming within their designated area. Recently, the new owners of the Idaho NBC affiliate, KPVI, have requested that we remove KSL from our cable channel lineup in certain towns, since they have exclusive broadcast rights for NBC within a designated footprint market area. As a result, we regret to inform you that we can no longer carry KSL–Salt Lake in the McCammon, Downey and Lava areas. We will cease broadcasting of KSL – Salt Lake on 10/15/2014 in those areas. We understand that you may not agree with this FCC rule but we are required to honor it. 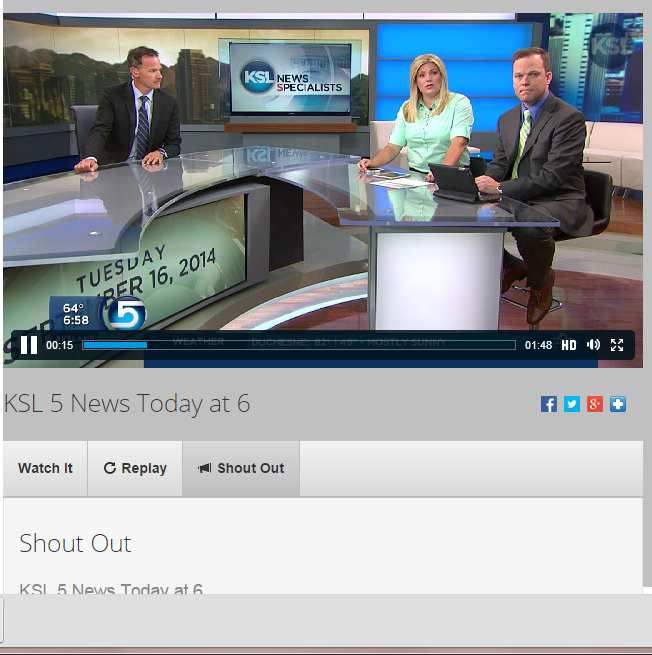 The good news is you can now stream KSL live online at http://live.ksl.com/. So, you can still watch your favorite Salt Lake City news and local shows online. Contact us to get the internet speed you need to get the best streaming experience. And of course the nationally syndicated shows that NBC carries will still be available to watch on KPVI. 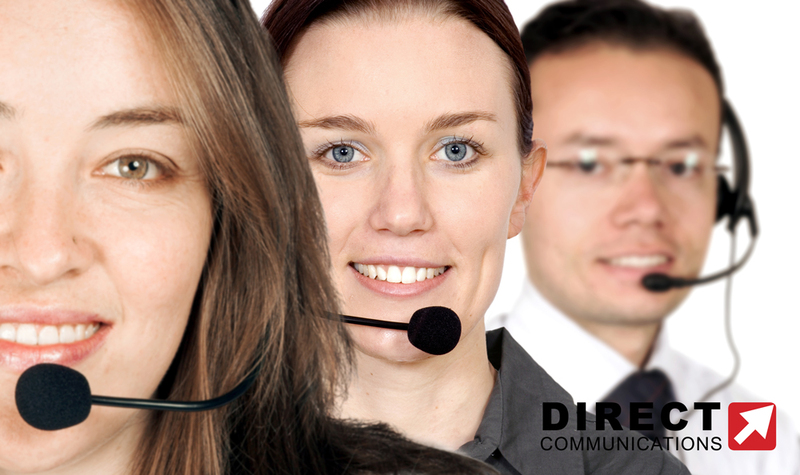 We truly appreciate you choosing Direct Communications for your services and appreciate your understanding. 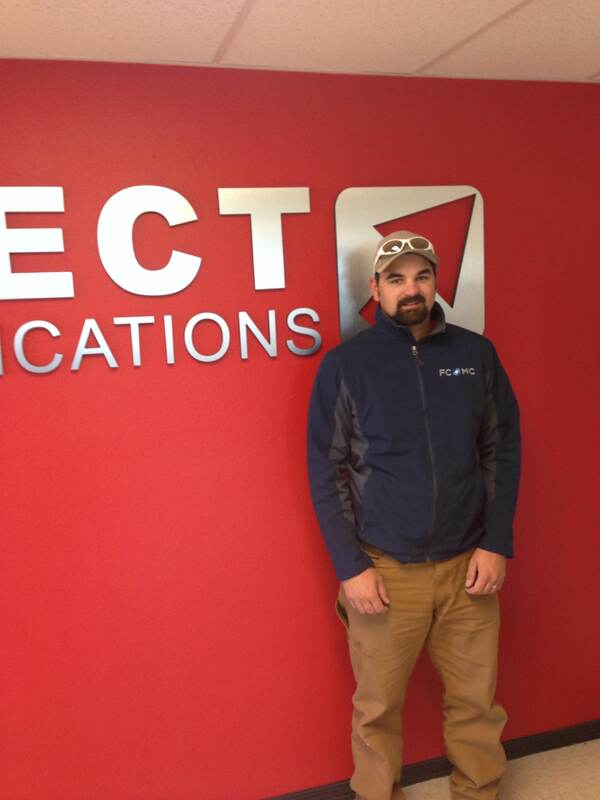 Direct Communications welcomes Bear Lake County native, Brenden Argyle, to the team as a new installation and combo tech. In his role as a tech, Brenden will be responsible for field installation and troubleshooting of high speed internet, cable TV and phone service in the Bear Lake area. Brenden is familiar with various wireless routers, including Linksys, Netgear, and Belkin, comes trained in use of cat-5 and coax cable, and is familiar with both PC and Apple products. 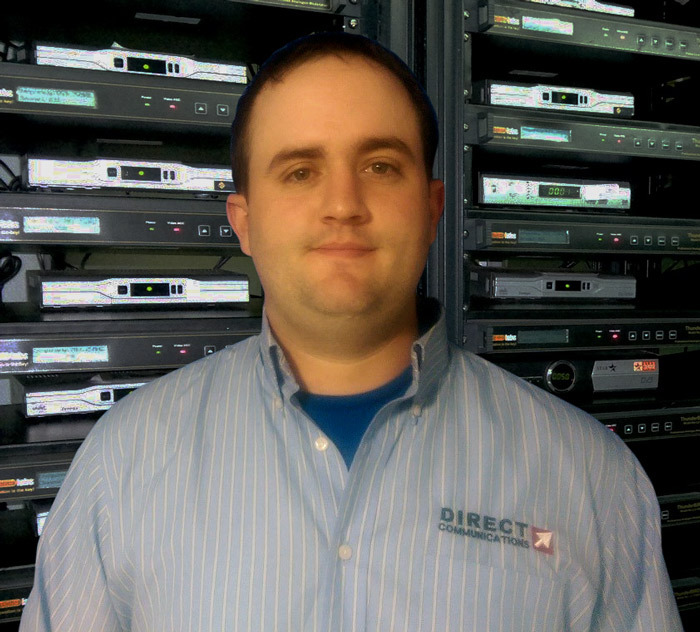 Brenden’s prior experience includes working for Digis, Satellite Solutions, and U.S.D.A. Forest Service as a Firefighter. Please say hi to Brenden as you see him working in the area, and congratulate him on the new job.